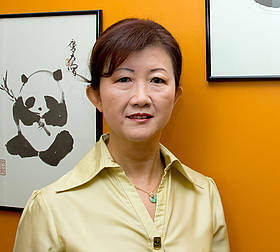 “Working for WWF-Malaysia is akin to working for Mother Nature to me. As a child who grew up reading National Geographic magazines, I am fascinated by the different types of topography, climate and environmental conditions that influence the thriving species and habitats that we find around the world, and how this, in turn, changed with human demands on natural resources. Humans living on the top of the food chain have always had the advantage over species and habitats which invariably have to make way for humankind's development and progress in the modern world.